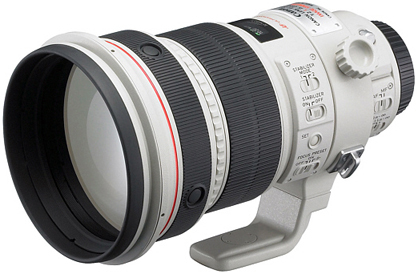 The Canon EF 200mm f/2L IS USM is an ultra-fast telephoto prime lens that boasts image stabilization and quick and quiet autofocusing with full-time manual focus override. Because of its full compatibility with 1.4x and 2x extenders, you have the option of added focal length versatility. This superb lens is suited for shooting indoor sports as well as portraiture and fashion. Compatible with both full frame and crop frame sensor Canon DSLR cameras. This lens does not accommodate front, screw-on style filters.